This very quick moving, storm has brought very beneficial moisture to all of Tahoe and the western Nevada valleys. It is not quite over. I expect another 2-4 inches up at Rose by Tomorrow. Some models are saying more. The snow levels started very high, near 10,000 feet, and took some time to move down. Therefore the resort snow totals are relatively low with Rose being the winner and accumulating 8-12 inches. That number should increase to near 16 inches by Friday with an outside chance of slightly more. 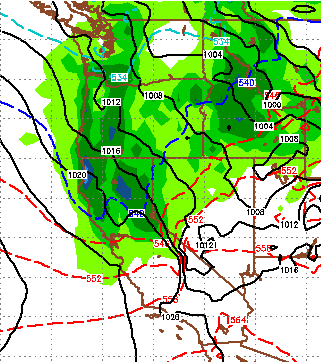 However the moisture impact should be significant because of the rain for nearly all resorts. 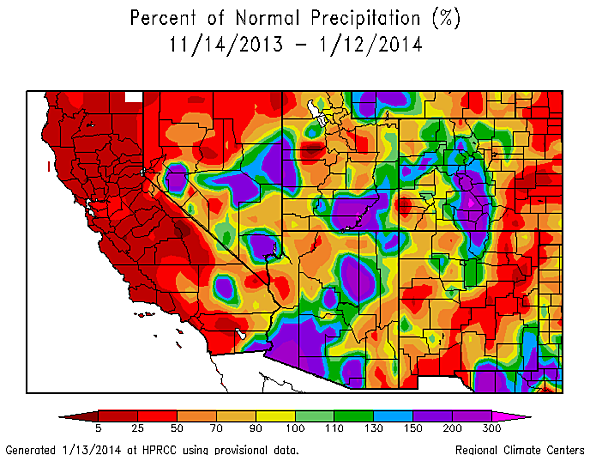 We have been in a very dry spell and 2-3 inches of liquid precip has fallen in the Sierra all around Tahoe. 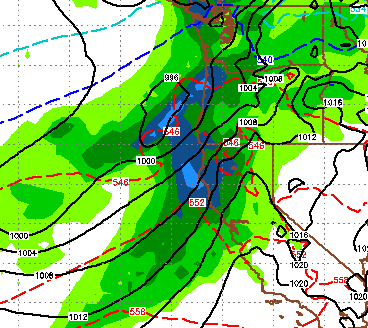 The California coast will pick up more moisture come Sunday as a system moves straight down the coast. There is some chance that we could pick up some of that. As Storm Moves In, Will This Change Our Long Term Weather Pattern? Mt. Rose skier, the elevation of Rose is such that it will be the big benefactor of this storm with all snow. I would not be surprised to see a couple of feet by Friday afternoon. Washed Car, Inside and OutCleaned Gravel and Salt of GarageSwept DrivewayRemoved Ski Rack from Car Number 4 could be the clincher! The above list usually brings in some inclement weather. I believe if we all put our collective positive energy together, we can change the pattern ourselves! 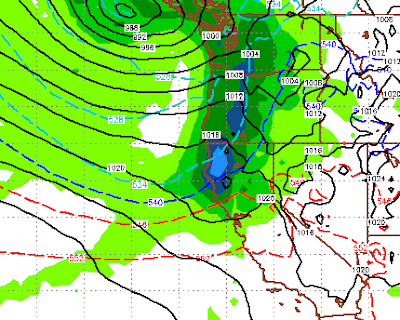 I did look at both GFS and EC models and they are in agreement for a quick moving weather event on Sunday that could bring up to a foot of snow to the Sierra. I just looked at the latest EC run. 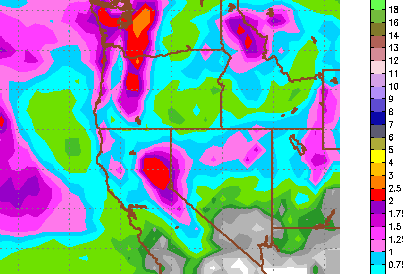 Unfortunately, the smaller storms for this week appear to have fallen apart. Our blocking ridge is moving south, but also east. That means it will continue to block any storms from coming into our area ... yucksville! Unfortunately, immediately after this storm our blocking ridge appears to be moving well north and east.